Featuring the logo of a major credit card issuer, reloadable prepaid cards are available from a variety of providers. The cardholder initially funds the card with an amount of money that then becomes the available funds on the card, minus any fees (fees listed in this article are as of September 2013). Most prepaid card issuers allow cardholders to quickly and easily load more money onto the cards online or in person. A variety of card options are available for purchase online or at a physical location, such as gas stations, convenience stores and supermarkets. In addition to being able to check the account balance online or on the phone, users also sometimes get membership benefits with these cards, such as purchase protection, bonuses and rewards. 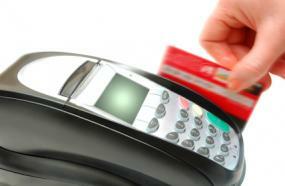 What Stores Sell Prepaid Debit Cards? Unlike some providers, American Express offers a card that doesn't have annual, monthly or transaction fees. This card is useful for those who want access to some of the benefits traditional cardholders have, such as entertainment ticket savings, purchase protection and roadside assistance. Funds on the card can also be accessed from an ATM after a PIN code is set up, and users can check their account balances online. There are a variety of ways to reload the card, which may initially be purchased online or at a retail location such as Walgreens and CVS. In addition to reloading the account using direct deposit or a bank account for free, users can purchase refill cards from Green Dot and Vanilla Reload Network at a participating retailer for a fee. Available for purchase online, NetSpend's Visa features a variety of plans to fit each user's purchasing needs. This card is ideal for both for people who are infrequent users that prefer to pay-as-you-go, as well as frequent users who don't want to worry about transaction fees. Money can be added to the card through direct deposit, PayPal, bank accounts and other NetSpend accounts, as well as in person at participating retailers for a fee. Users get access to online money management tools for creating budgets and paying bills, and apps are available for iPhone and Android users to make it easy to keep track of the card's balance. Available with a variety of designs to choose from, this Visa is available both online and at Walmart stores. This card is a good choice for people who want free ATM access and want the convenience of reloading the card at a local Walmart store. Users get ATM access without any fees at MoneyPass ATMs in the U.S., with other ATMs costing $2 per transaction. A mobile app is available to check the card's balance and find participating retailers for reloading it. The card can be reloaded at Walmart with cash for a $3 fee or by a government or payroll check (with check cashing fees). Direct deposit is another free reload option, with other options including online bank transfer (free for standard transfer) and MoneyPak reload at participating retailers (up to $4.95 fee). Green Dot offers both MasterCard and Visa options online or at a participating retailer. There are no minimum balance requirements or overage fees, and users get free online bill pay and free ATM access at participating locations. Green Dot's cards are particularly useful for people who load at least $1,000 a month onto the card or make at least 30 monthly purchases because the $5.95 monthly fee can be waived for those who do either of these. Fees do apply to ATM withdrawals and balance inquiries at locations not on the MoneyPass network. Android and iPhone apps are available to help manage the account. Green Dot doesn't charge a fee for direct deposit or reloads from a bank account. Users who prefer to reload the card in person can do so at participating locations for up to $4.95. Walmart can also reload the card using a qualifying check for $3.74. The fees depend on the type of card chosen, with the gold version having no activation fee but a $9.95 monthly fee. There are no purchase fees for the gold card, and those using direct deposit get a $15 bonus for opening the account. The classic card comes with a $4.95 activation fee, no monthly fee and a $1 fee per transaction. The same ATM withdrawal, balance inquiry and decline fees apply to both cards. In addition to reloading the card for free with direct deposit, users can refill with cash in person at retailers for a fee. Buying the card in person comes with an additional $4.95 fee, and all users pay a $4.95 monthly fee that provides unlimited transactions. ATM fees vary and also apply. In addition to transferring funds from a PayPal account or direct deposit, users have the option to reload the card at a NetSpend Reload Network location for a fee. The card can be reloaded free through direct deposit, with a $4.95 fee at retail locations or with a $1 fee through bank transfer. There are no fees for monthly maintenance, signature or PIN purchases, online statements, customer service or SMS notifications (except applicable mobile charges). Each ATM withdrawal costs $1.95 in addition to any operator fees, and a $2.95 fee applies after the card has been inactive for 120 days. Available at any Chase branch, this Visa card has no fees for opening the account, reloading or using a Chase ATM, as long as all are done through the bank. Although one doesn't need an existing Chase account to get the card, the card is ideal for people who can visit a local branch for ATM access and reloads as needed. The card can be reloaded through direct deposit, with cash or check at an ATM, with a check through the QuickDeposit service and from account transfers. To obtain the card, users visit a local Chase branch with a valid photo ID and an additional ID. A temporary card is available immediately after filling out the application, loading at least $25 on the card and making a PIN code, and the permanent card usually comes in the mail 7 to 10 days later. Although people with credit cards may wonder why anyone would ever have occasion to use a prepaid card, these cards come in quite handy for some people who would rather not use a regular credit card in certain instances. Teenagers learn about the use of credit cards to prepare them for when they eventually leave the home and have their own revolving credit accounts. Young shoppers cannot exceed their spending limit, and therefore do not put the parents at risk for financial problems. Teens learn about the importance of safeguarding a card and not allowing other people access to the card number. Not all parents like the idea of their teenagers being set loose in a mall with credit cards in hand, so prepaid cards can be a good solution. Carrying a credit card while traveling domestically and overseas can be a lot safer than carrying large amounts of cash. Reloadable cards offer the additional advantage of allowing cardholders the capability of electronically reloading the balance on the card with usually no more than a simple phone call to the bank. Travelers sometimes use prepaid cards as ways to budget their spending while on vacation, while some business travelers will have the balance loaded by their employers for expenses incurred while traveling. For people who have bad credit and cannot get approved for a traditional credit card, a prepaid card can be a suitable solution. Cardholders with bad credit can usually obtain reloadable cards without a credit check. The balance on the card is reloaded, so as long as the cardholder is willing to pay the accompanying fees, the card can be used just like a traditional credit card. When reviewing your card options, it's important to choose the one that fits your needs and come with fees that you can afford. While all of the listed cards offer free reloads with direct deposit, the fees for reloading can quickly add up if you have to use cash at a retail location. If you only make occasional purchases, a provider with a lower monthly fee but a charge per transaction may work out to be less expensive. You should also consider benefits such as free online bill pay, purchase rewards and roadside protection to decide if the benefits outweigh any applicable fees for your situation.